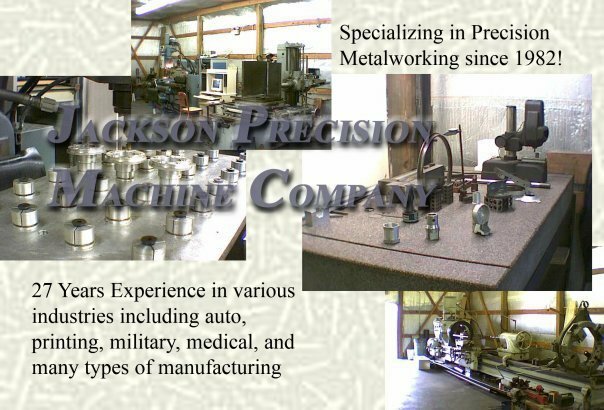 Strict quality control matched with excellent pricing, make Jackson the best choice for a large variety of milling, drilling and turning applications. Our skilled machinists work with a variety of materials, performing services from general machine work, to precision tooling, in quantities from one to hundreds. We can meet your machining needs, from the smallest part, to a fully assembled product, to a working prototype machine. our extensive CNC (or Computer Numerical Controlled) Machining capabilities can satisfy the most intricate precision tooling requirements.